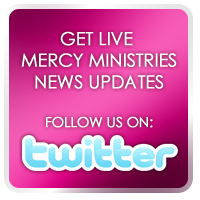 Mercy Ministries News: Mercy Ministries Celebrates The Arrival Of Baby Aiden! Mercy Ministries Celebrates The Arrival Of Baby Aiden! 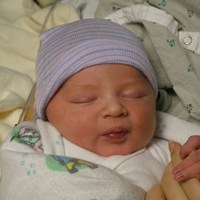 Mercy Ministries is celebrating the birth of a happy and healthy baby boy to Nashville resident, Hannah. Aiden Thomas was born last night, 1/11/11. He is a big boy, weighing 9 lb 2 oz and measuring 22 inches long! Hannah made the brave decision to come to Mercy Ministries, choose life for her precious baby, and place him for adoption with a loving Christian family. We are so honored to be a part of this amazing process. Because of our faithful supporters, girls like Hannah who are facing an unplanned pregnancy can receive the help they need to reach a decision about whether to parent or place their babies for adoption. Your support is literally saving and changing lives every day. Thank you for being a part of this special little boy’s future! Click here to learn more from Mercy Ministries Director of Adoptions, Joy Graham.